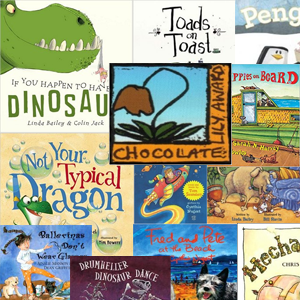 What goes well with Hanukkah gifts? 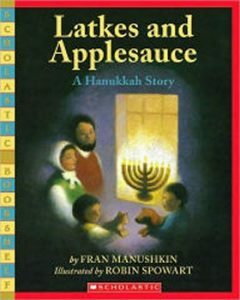 Hanukkah stories! 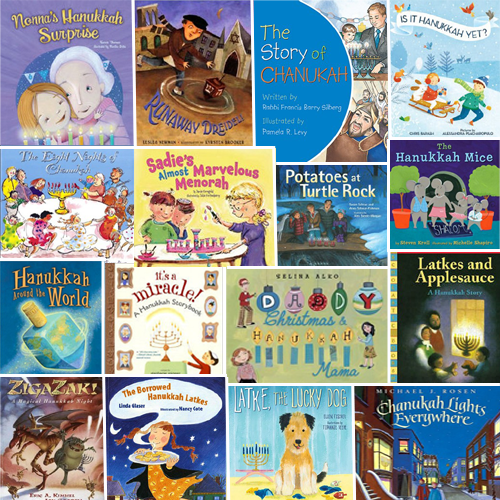 We are sharing 16 Hanukkah stories, 2 for each night. 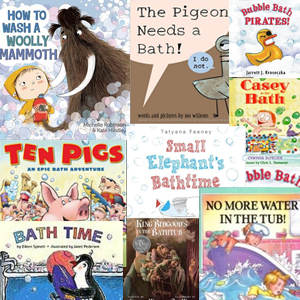 A perfect pairing for gift time or bedtime. 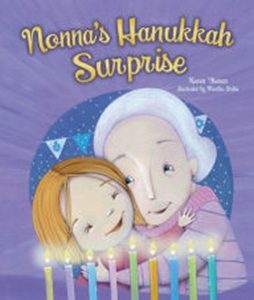 A young girl finds a way to include her elderly neighbor in her family’s Hanukkah celebration. 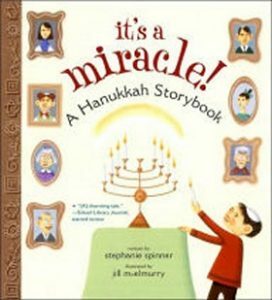 A young boy counts the candles on the family menorah and the lights he sees in the world around him on each night of Hanukkah, in a story which includes information on the history and significance of the celebration. 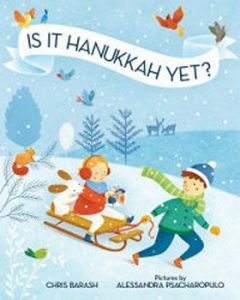 A child relates how the family celebrates both Christmas and Hanukkah, enjoying the rich traditions of both religions. 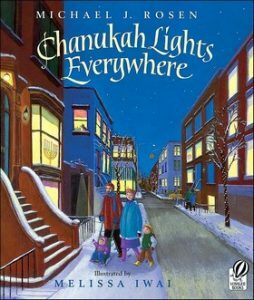 The wondrous days of Chanukah come to life through the eyes of a young child, whose family gathering grows bigger and bigger as the holiday progresses. Celebrate Hanukkah with an Australian blizzard drink, Polish latkes, Tunisian debla cookies, and explore how Hanukkah is celebrated around the world. 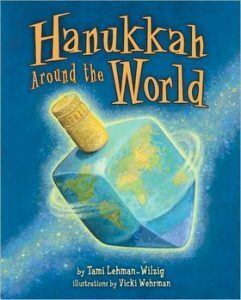 Includes brightly colored maps and boxed information on the presence of Jews in each spotlighted country. 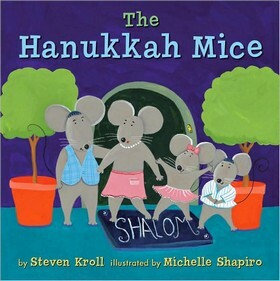 A family of mice enjoys the doll house and furnishings that Rachel receives as gifts on the eight nights of Hanukkah. 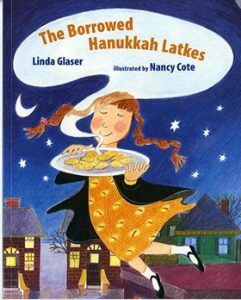 From snow on the ground to making applesauce and latkes to lighting the menorah, this story shows the seasonal and traditional ways we know Hanukkah is on its way. 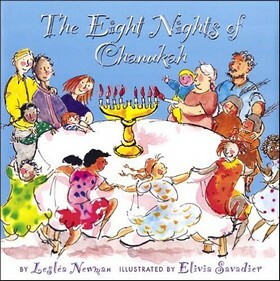 Every night of Hanukkah Grandma tells a story at bedtime, in a book that includes the Hanukkah legend. 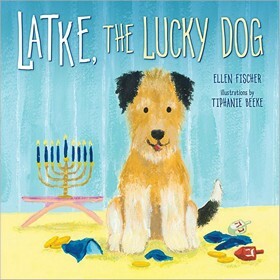 A family rescues a dog from a shelter during Hanukkah, and the pup proceeds to create holiday hijinks as he gets used to his new home. When a blizzard leaves a family housebound one Hanukkah, they share what little food they have with some starving animals who later return the favor. Rachel is excited to go spend the holidays with her Italian cousins and beloved Nonna, but is also upset about missing Hanukkah. Her parents assure her that they can still celebrate the holiday and pack up dreidels, chocolate gelt, and candles. They even surprise Rachel with a cool new menorah featuring girl Maccabee warriors. Annie leads her family on a nighttime journey around their farm to celebrate the first night of Hanukkah. 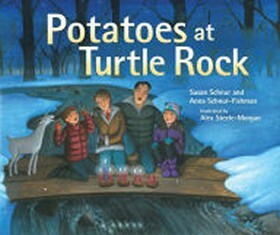 At each stop along the way Annie uses riddles (and potatoes) to mark old traditions and start new ones. 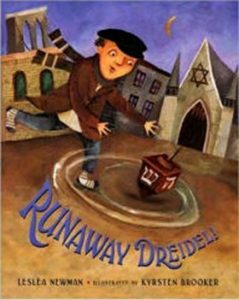 In this rhyming tale in the style of “The Night before Christmas,” a family’s preparations for Chanukah are disrupted by a wildly spinning dreidel. 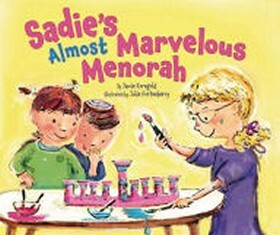 A little girl breaks her handmade Hanukkah menorah but learns that, even broken, it can still have a role to play in the holiday celebration. 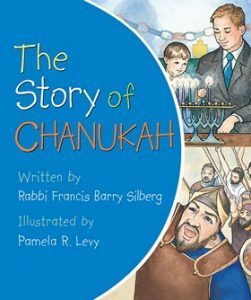 A simple history of the celebration of Chanukah, including the corruption of the Temple, the bravery of Judah the Maccabee, and the miraculous eight-day flame that reminded the Jews of God’s light and their freedom to worship. 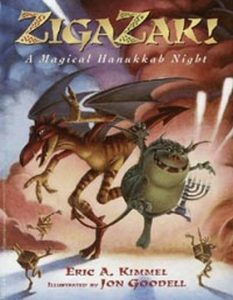 Two evil spirits wreak havoc on the town of Brisk’s Hanukkah celebration, until the town’s wise rabbi puts a stop to their mischief.